On June 26, 1876, near the Little Bighorn River in Montana Territory, General George Armstrong Custer ordered his soldiers to drive back a large army of Lakota and Cheyenne warriors. The battle pitted two larger-than-life antagonists against one another: Sitting Bull, the charismatic and politically savvy leader of the Plains Indians; and George Armstrong Custer, one of the Union's greatest cavalry officers. By day's end, Custer and nearly a third of his army were dead. Arlington, VA - January 12, 2012 - PBS Distribution today announced it is releasing American Experience: Custer's Last Stand on DVD. On June 26, 1876, near the Little Bighorn River in Montana Territory, General George Armstrong Custer ordered his soldiers to drive back a large army of Lakota and Cheyenne warriors. The battle pitted two larger-than-life antagonists against one another: Sitting Bull, the charismatic and politically savvy leader of the Plains Indians; and George Armstrong Custer, one of the Union's greatest cavalry officers. By day's end, Custer and nearly a third of his army were dead. This biography of one of the most charismatic and contradictory American leaders of the 19th century takes viewers on a journey from Custer's memorable charge at Gettysburg, which turned the tide of the battle, to his lonely, untimely death on the windswept plains of the West. Along the way, viewers learn how, time and time again, the supremely ambitious son of a blacksmith ricocheted from triumph to disaster, from battlefield heroism to impetuous escapade. This documentary will be available on DVD beginning January 24, 2012. The program has a running time of 120 minutes. The DVD SRP is $24.99. Custer's Last Stand paints a penetrating psychological portrait of Custer's personality, and explores the fateful relationships within the officers of the Seventh Cavalry that would lead him to his doom. This new biography allows viewers to take a fresh look at Custer's passionate love affair with his wife Libbie, and their mutually ambitious partnership that made them the power couple of the 1870s. From Custer's heroic exploits on the battlefields of the Civil War, to his often brutal subjugation of the Indians of the Southern Plains, to his highly publicized expedition into the Black Hills, Custer was a man in a hurry, desperately trying to "be" Custer, struggling to maintain the fame that had come to define him. Directed by Stephen Ives ("Seabiscuit," "The West," "Panama Canal"), Custer's Last Stand will premiere on the PBS series AMERICAN EXPERIENCE on Tuesday, January 17, 2012. Television's most-watched history series, AMERICAN EXPERIENCE has been hailed as "peerless" (Wall Street Journal), "the most consistently enriching program on television" (Chicago Tribune), and "a beacon of intelligence and purpose" (Houston Chronicle). On air and online, the series brings to life the incredible characters and epic stories that have shaped America's past and present. Acclaimed by viewers and critics alike, AMERICAN EXPERIENCE documentaries have been honored with every major broadcast award, including 14 George Foster Peabody Awards, four duPont-Columbia Awards, and 30 Emmy Awards, including, most recently, Exceptional Merit in Nonfiction Filmmaking for Freedom Riders. Exclusive corporate funding for AMERICAN EXPERIENCE is provided by Liberty Mutual. Major funding is provided by the Alfred P. Sloan Foundation. 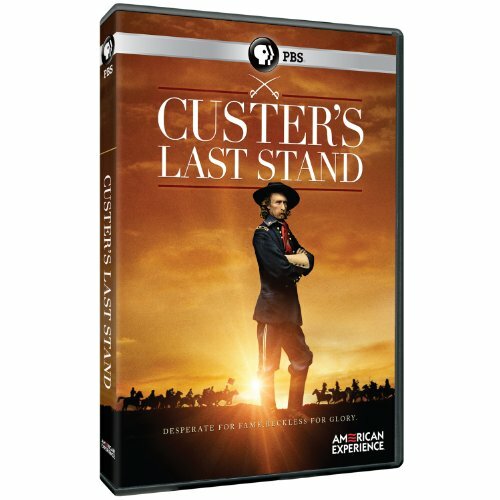 Additional funding for Custer's Last Stand is provided by Documentary Investment Group Members: Nordblom Family Foundation and Rick and Nonnie Burnes, the Corporation for Public Broadcasting, and public television viewers. AMERICAN EXPERIENCE is produced for PBS by WGBH Boston.